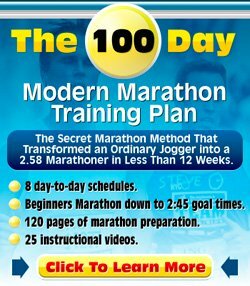 I have been looking over your website for training using a heart rate monitor. There is a lot of great information on the site! The one thing I can't seem to find is in what zone I should run my goal race. I'm not really looking for a time goal (yet anyway) and am just looking to finish. Is there a certain zone in which I should run the race? Thanks for the kind comments and thanks for your great question which I am sure many heart rate monitor fanatics are battling with. I do cover something on best-running-tips.com about using your heart rate monitor in racing. It is on the heart rate monitor training basics page. It basically says that my experience is that your heart rate is too unreliable in racing. So I advise against using a goal heart rate in running races.